Patients who want to straighten their teeth might hold back because they don’t like the appearance of metal braces. Now they don’t have to. At Dr. Rosenfeld’s office, Invisalign clear braces are available. 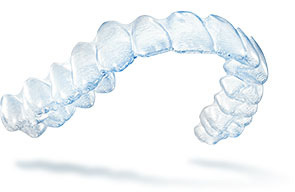 Invisalign clear braces are made from transparent plastic. They straighten your teeth without the appearance of metal or bands. Invisalign braces are completely clear and barely noticeable. Invisalign clear braces can be comfortable. Invisalign braces may require fewer dental appointments. Unlike other braces, Invisalign clear braces are completely removable. You can take them out before brushing your teeth. Invisalign clear braces are easy to maintain. Invisalign clear braces may provide you with the healthy, straight smile you’ve always wanted without any metal or bands. Using Invisalign, Dr. Rosenfeld can straighten your teeth without braces having any impact on your social life. You will be able to live, laugh, eat, and speak normally without pain or hassle while still working towards that straight smile you’ve always wanted. With Invisalign, you won’t have to worry about any potential negative social effects. You’ll be able to live your life freely while you straighten your teeth. To find out more about Invisalign clear braces and to figure out if they can help straighten your teeth, contact his Solana Beach office today to set up an appointment. We want to help you get the smile you’ve always wanted. Invisalign clear braces can straighten your teeth and increase your confidence. Come in today, and try Invisalign.